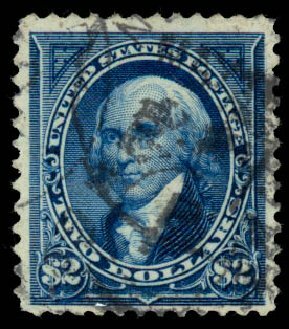 USA (Scott 262) 1894 MADISON $2 BRIGHT BLUE Original gum, hinge remnant. Nice bright color, very fine. Cat value $2750. 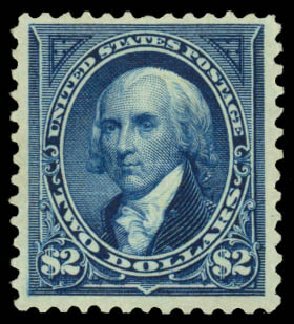 USA (Scott 262) 1894 MADISON $2 BRIGHT BLUE Very fine centering, somewhat heavy cancel, but not overpowering. Pretty color. Cat value $1250. 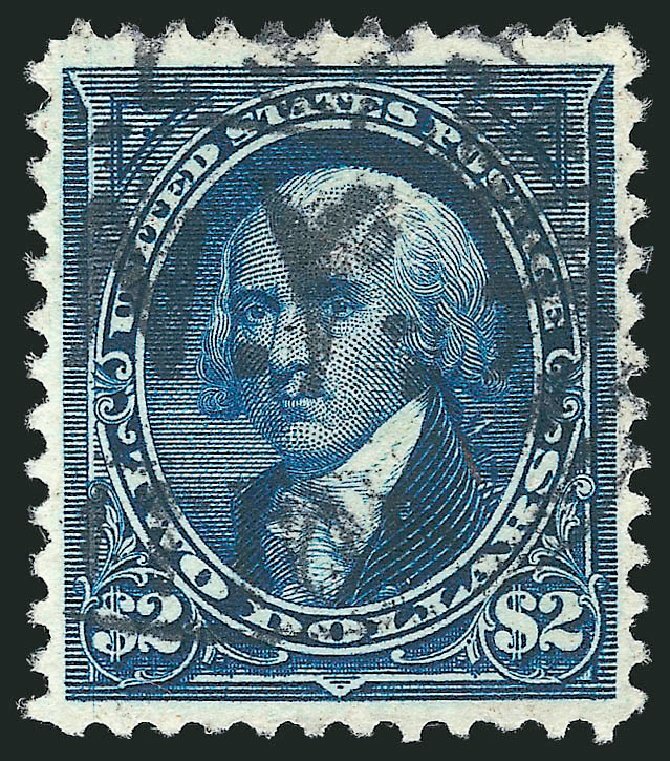 1894, $2 bright blue (Scott 262), black cancellation, deep color, decent example of this tough stamp; reperforated at left, otherwise Fine. 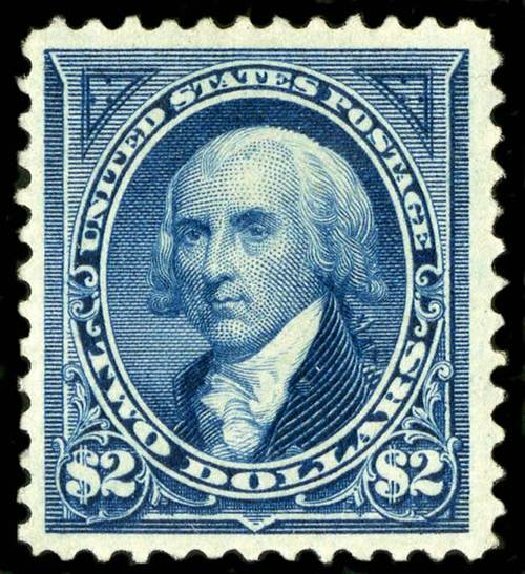 Scott $1,250. Estimate price $300 – 400. 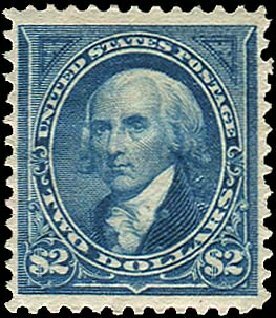 Scott #262, $2.00 Bright blue, attractive example with deeply rich color on fresh paper, quite well centered within large margins, o.g., lightly hinged, very fine. 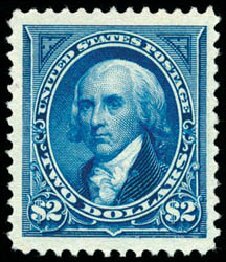 Scott #262, $2.00 Bright blue, fresh with deeply rich color and a sharp detailed impression, o.g., lightly hinged, fine and attractive; 1984 PF certificate. 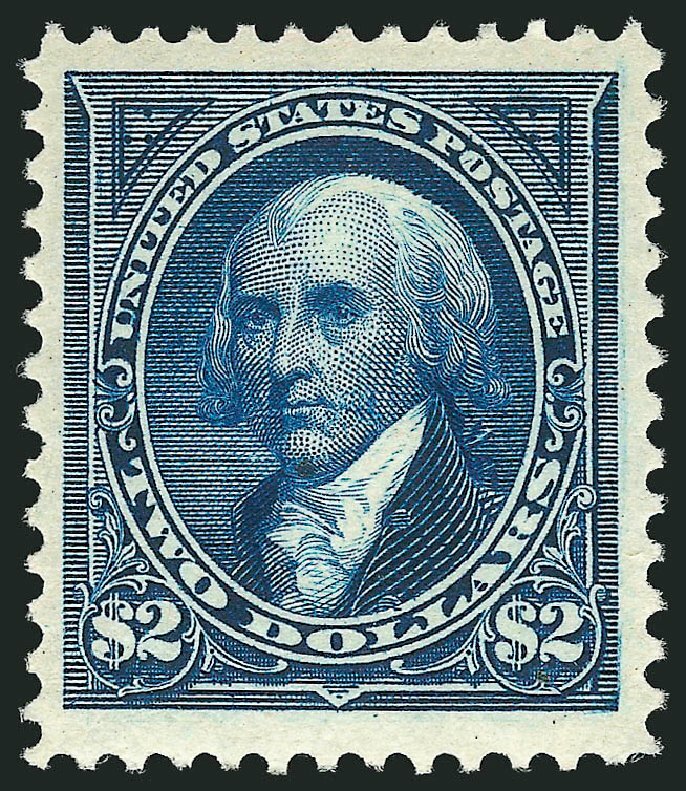 1894, $2 bright blue. 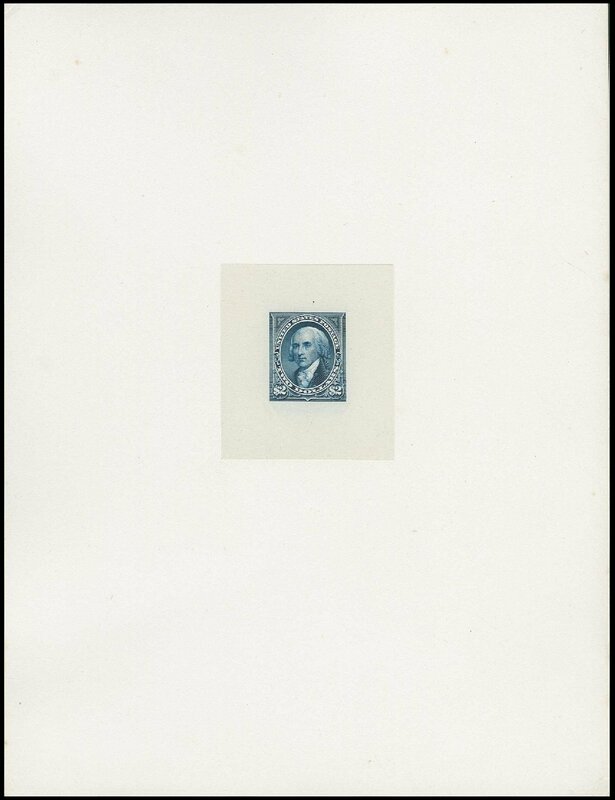 O.g., lightly hinged, strong vibrant color on bright paper, fresh and F.-V.F., with 1987 P.F. certificate. Scott No. 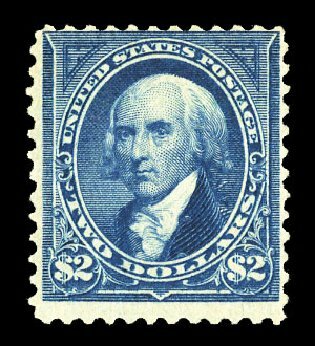 262; $2,750. 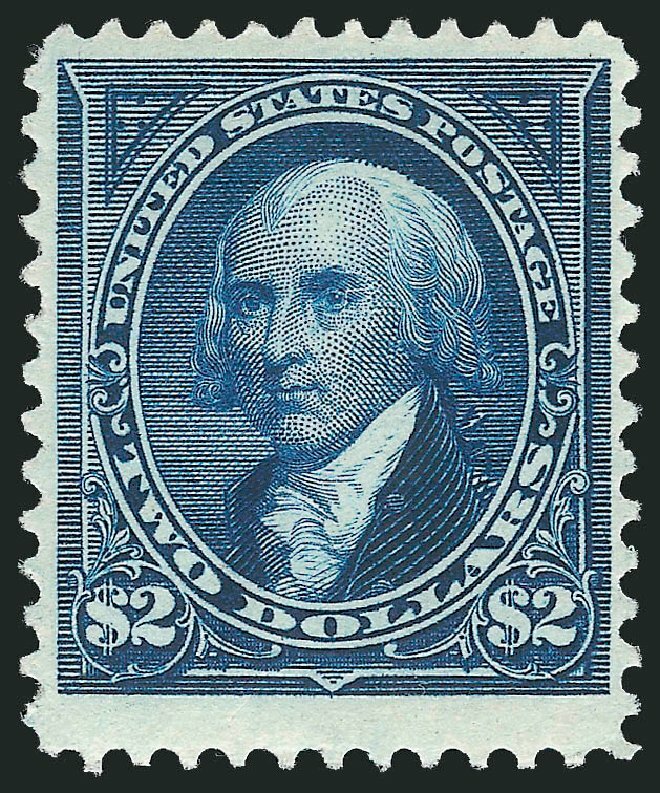 1894, $2 dark blue. 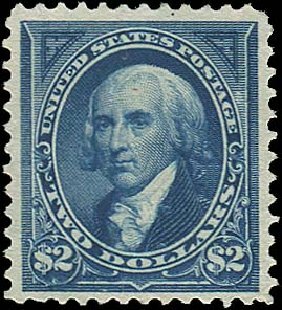 Without gum, huge margins, rich color; faint diagonal crease, Very Fine jumbo appearance, huge margin are rarely encountered on this high value issue, with 1987 P.F. certificate. Scott No. 262; $1,100. 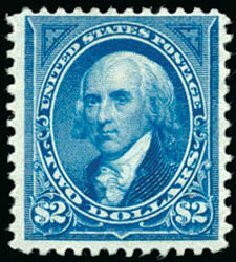 1894, $2 bright blue (Scott 262), o.g., previously hinged, extremely handsome example of this notoriously difficult stamp that rarely comes well centered and sound, Very Fine, 1982 and 1994 P.F. certificates. 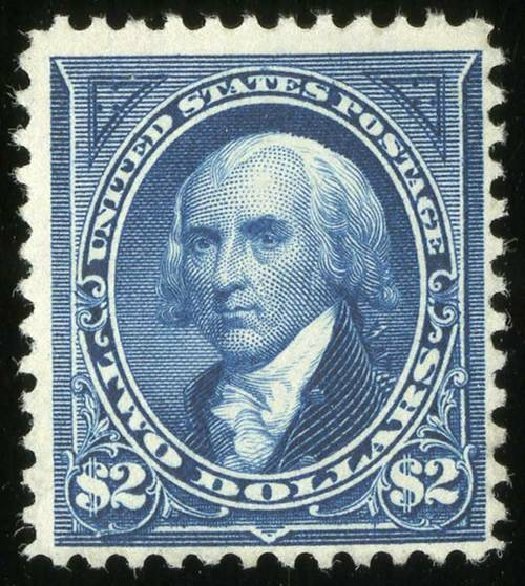 Scott $2,750. Estimate value $2,000 – 3,000. 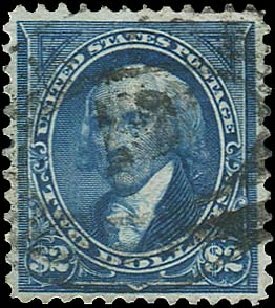 1894, $2 bright blue (Scott 262), o.g., hinge remnants, huge margins and fabulous rich color; numerous filled thin spots, reperforated at bottom, Very Fine appearance. 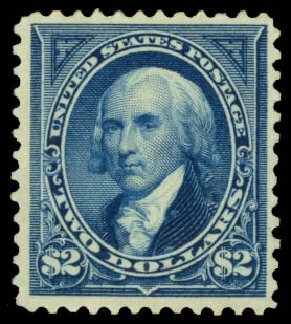 Scott $2,750. Estimate value $500 – 750.